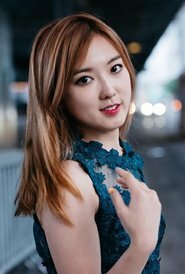 Born in 1992 in Seoul, Korea, Nicky Sohn is a composer whose music has been described as dynamic, lively, and melodious. Sohn’s music has been performed across the United States, Europe, and Asia. Recent commissions include compositions for Misato Hanawa, a renowned Japanese saxophonist, Reeds Quartet from Korea, and New York Choreographic Institute at New York City Ballet. She was recently appointed as the composer-in-residence of Avalon Music Consort in Sweden. The 2016-17 season highlights consist of the premiere of Miracle Mile, a work for soprano saxophone and piano in Tokyo City Opera Hall, performances of a new composition for dance through a collaboration with Fabio Adorisio, Italian choreographer at NYCI, and invitation to the first Asian Saxophone Congress in Taiwan. Sohn began studying piano at age two and composing when she was seven. She completed her middle school and high school studies at the age of fourteen. She is a recipient of many awards and honors including Peter Mennin and Vincent Persichetti Endowment Fund, Gershwin Memorial Scholarship, and Milton Babbitt Scholarship. She received her Bachelor of Music degree from the Mannes College of Music in 2014 and Masters of Music from The Juilliard School of Music under Robert Beaser. Sohn is a candidate for her Ph.D. in composition at The UCLA Herb Alpert School of Music where she studies with Richard Danielpour. Lucy McKnight is a graduate of Cortines School of Visual and Performing Arts in Los Angeles, studied cello, music theory, and choral music at the Colburn School of Performing Arts and composition with Anderson Alden. In 2015-2016, Lucy participated in the LA Philharmonic Associate Composer Program, directed by Sarah Gibson. As a 2016 winner of American Composers' Forum NextNotes High School Composition Competition, her piece, “…i hope the seawinds blow it out of mind …”, premiered in Minneapolis in June. In July 2016, she studied with Ofer Ben-Amots and Jan Jirasek at the International Summer Academy of Music in Ochsenhausen, Germany and earned an honorable mention in the Joseph Dorfman Memorial Composition Competition. She took part in Sunset ChamberFest’s 2016 Young Composer Program, for which she wrote “Misery made me a fiend.” Selected to premiere in Sunset ChamberFest’s June 2017 concert series, this string quartet tied for first place in Webster University’s 2017 Young Composers’ Competition. Lucy’s “Iceland,” a piece for flute, clarinet, cello, and piano, was performed by Wild Rumpus in San Francisco in 2017. She is currently writing a chamber choir piece for Novi Contori’s Composer Forum and studying composition at USC Thornton School of Music with Ted Hearne. 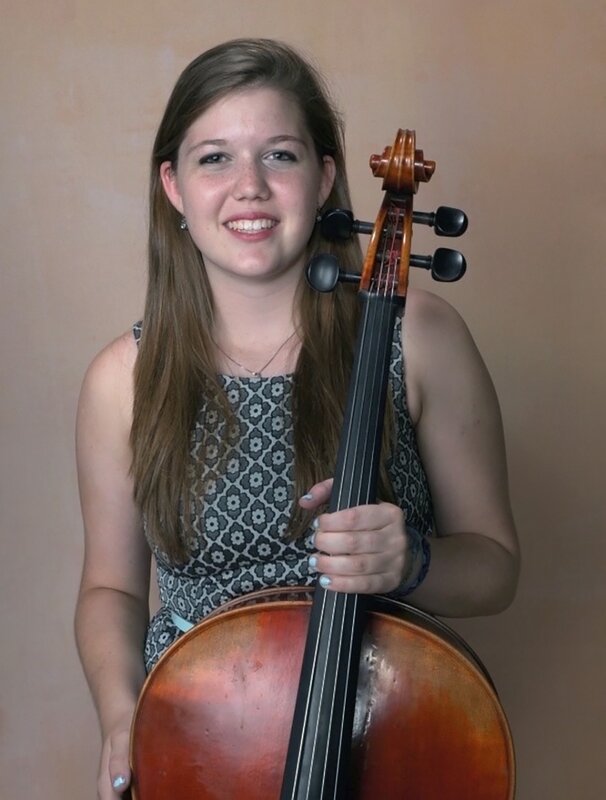 Marissa Hickman is an undergraduate student studying music composition and technology at Mason Gross School of the Arts at Rutgers University in New Brunswick. She has had pieces premiered in the Listen Up! Marathon, the NJDAC concert series, and several Split the Lark New Music Ensemble concerts. In addition, she has worked on multiple dance collaborations, scored short films and a web series project, and written a song for the On Broadway PATP summer program. Marissa’s compositional interests lie in a variety of styles including classical, electronic, jazz, and choral music. Through her pieces, she likes to experiment with swelling harmonies, rhythmic grooves, layering, and interesting textures. Her works are often of a contemplative, conceptual nature and structured in vignette-like movements that capture a strong emotional character intended to engage and transport the listener. She currently studies composition privately with Amanda Harberg. Marissa aspires to compose for film and television professionally. Dylan Findley (b. 1991), from Ottawa, Illinois, USA composes music as a gateway to inspiration, energy, and the expression of intangible truths, and as such, he explores new ways to channel and focus music's power. Dylan’s main aspiration is to answer the questions music constantly provokes: How do sounds interact with emotion? How does it speak to the spirit? How does music reveal truth? In what way does a person vicariously experience emotion and truth as sound interacts with time? In seeking for truth, his music is inspired by religion, nature, culture, and life experience. Mr. Findley has been awarded commissions by the Barlow Endowment, New American Voices, the 2017 ALBA Music Festival, TransAmerican Duo, American Guild of Organists Student Commissioning Project, Barlow Student Composition Award, the 2016 Atlantic Music Festival, and the 2015 Imani Winds Chamber Music Festival. He studied under Lansing McLoskey, Christian Asplund, Neil Thornock, Michael Hicks, and Sam Richards, and also under University of Miami composers-in-residence Martin Bresnick, Stephen Hartke, and Augusta Read Thomas. He is currently finishing his Master’s degree in Composition and Theory at the University of Miami. 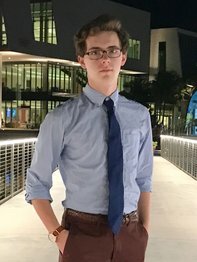 Benjamin Webster is a composer and clarinetist based in the Greater Boston Area and currently studying composition and performance at the University of Miami Frost School of Music. As a composer, he has written for a variety of large and chamber ensembles involved inside and out of the Frost School. His music has been performed by University of Miami students including the Frost Symphonic Winds, and has been included in reading sessions involving the Frost Wind Ensemble, the Passpartout Duo, and members of the Cleveland Orchestra. Upcoming performances included premieres by cellist Ian Flatt, clarinetist Jesse Gilday, and the premiere of a work commissioned by the King Philip Middle School Band in a concert performed in conjunction with the University of Massachusetts Wind Ensemble. As a clarinetist, Benjamin performs in the Frost Wind Ensemble, Frost Symphonic Winds, and the new music group Ensemble Ibis. His teachers include Lansing McLoskey, Howard Frazin, and Margaret Donaghue. 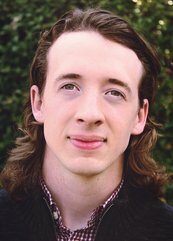 Zack Pentecost is a composer, sound designer, and arts enthusiast originally from Springfield, TN. 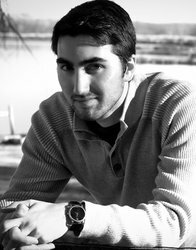 Pentacost is now based in Minneapolis, MN where he is a Ph.D. candidate in music composition at the University of Minnesota. His interests are in creating new works for classical guitar, electronics, choir, small chamber ensembles, and incorporating electronic elements into works for large ensembles. 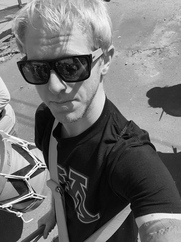 As a graduate student, Zack helps lead an interdisciplinary group in Music and Sound Studies, performs with the University of Minnesota’s World Music Ensemble – Carnaval, and serves as a student ambassador to the Minnesota Orchestra. Alex Wakim is majoring in Music Composition at Kansas State University under Dr. Craig Weston. His clarinet quartet, Clarinet 4, was featured at the SCI 2016 Region VI conference, being selected after a competitive peer review process. This piece also won 1st place in the 2016 annual Kansas Soundscapes Competition. His Trombone Concerto, Play of the Sky, was commissioned by the KSU trombone professor, Dr. Paul Hunt, and was premiered on Wakim’s composition recital. It was also featured on Dr. Hunt’s recital and the Kansas State Celebrating New Music Concert. Wakim’s main instrument is piano, performing in the top KSU big band and jazz combo under Dr. Wayne Goins and actively playing around town in his own combo. He recently wrote a big band piece entitled Disillusionment, to be featured on the upcoming jazz concerts. Listening to jazz and the masterful music of Ravel, Vaughan Williams, and Bill Evans is one of the most enriching activities he does, and he tries to implement elements of this listening into his music. 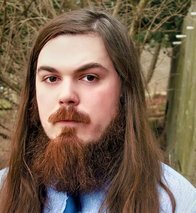 He recently started a student Society of Composers Incorporated chapter at KSU, and serves as president of it, continually updating it. 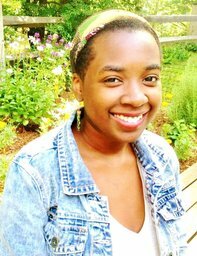 Wakim also served as a student senator, is pursuing minors in Jazz and Entrepreneurship, and aspires to write for film. Upcoming projects include four piano and electronics pieces with collaborative choreography from circus performers and dancers, a song cycle featuring new poetry from a rising UK poet, Sea Sharp, and a piece for the KSU oboe professor, Dr. Alison Robuck. Steven D. Moreno is a graduating senior at Mason Gross School of the Arts, where he studies music composition. He plans to attend graduate school in the fall of 2017. 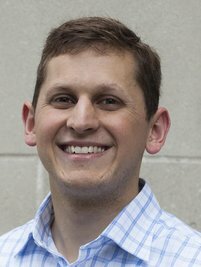 Steven has studied composition with Dr. Christopher Doll, Dr. Steven Kemper, and is currently studying with Tarik O’Regan. During his time at Mason Gross he became the director of the Split the Lark new music ensemble. Steven continues to work professionally with the group receiving performances of his music at venues like Le Poisson Rouge in New York City, the Zimmerli Art Museum and Alfa Art Gallery in New Brunswick, New Jersey. The group is currently working on the premier of Steven’s opera, Planet MOOL Comes to Visit, with libretto by Kevin Madison. 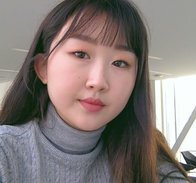 Born in 1995 in Korea, Soomin Kim is a composer studying at Oberlin College & Conservatory with Stephen Hartke and Jesse Jones. She started playing the piano when she was 4, which led her to study jazz composition in her teens. Not only her studies in jazz, but also her singing experience has largely influenced her musical career. She was in Heritage Youth Gospel Band from 2013 to 2014, which is a project band under the Heritage Production, the largest Gospel music production company in Korea. She also sang in the school choir when she attended Hankuk Academy of Foreign Studies in Yong-in city, Korea. With a dream of being a professional composer, she flew to Oberlin and completed a variety of pieces ranging from a small ensemble piece to orchestra piece. She also had reading sessions with Oberlin Orchestra and Oberlin Contemporary Music Ensemble, achieving both academic and musical success. Tyler Entelisano is pursuing a B.M. in music composition from the University of Alabama. Entelisano is the recipient of The University of Alabama’s Presidential Scholarship and the Dr. Gerald Welker Memorial Scholarship. Entelisano studies composition with C. P. First and has studied with Amir Zaheri. Entelisano is published in the International Journal of Contemporary Composition (IJCC). His music is available through PARMA Recordings on the Navona Label and has been selected for performance at the 2016 MA/IN Matera Intermedia Festival, the 2016 SCI Student National Conference, the 2017 SCI Region VI Conference, and the 2017 SCI Region IV Student Conference. 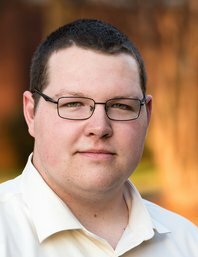 Entelisano was a winner of the AMEA (Alabama Music Educators Association) Young Composer’s Competition in 2011 and 2012, and he was given an Honorable Mention in the Frost School of Music Ensemble Ibis International Composition Competition. Compositionally, Entelisano is engaged in collaborations with student and faculty performers at the University of Alabama’s School of Music. He has also worked with numerous musicians across the United States. His music has been premiered by the University of Alabama's Contemporary Ensemble. He has served as the composer in residence for Tuscaloosa County High School. Entelisano is a member of the Society of Composers Incorporated (SCI) and ASCAP.